First off, I bet that every girl loves a nice high end, trendy bag but most like myself cannot afford even a designer zippy coin purse. So what do I do? I usually keep myself to simple stuff without logos or sometimes I go thrifting to try out my luck. While thrifting back in Tanzania I came across a LV bag that I was drawn to. 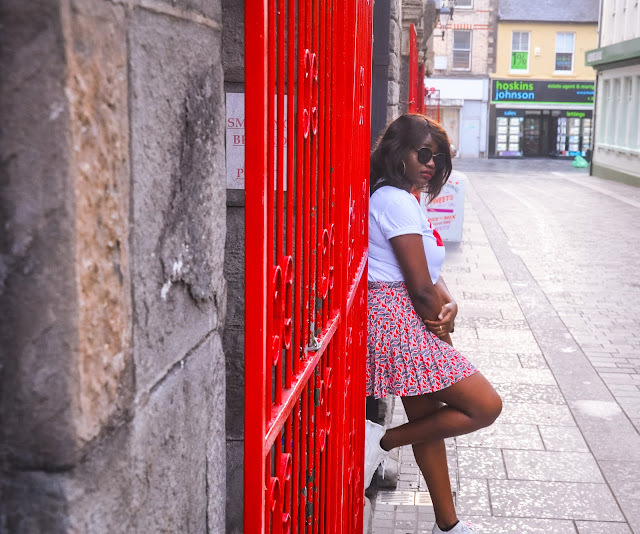 Its a simple crossbody, messenger style bag and I thought it wouldn't hurt to have it, so I went on and got it for 5000TZS equivalent to 2.5USD. 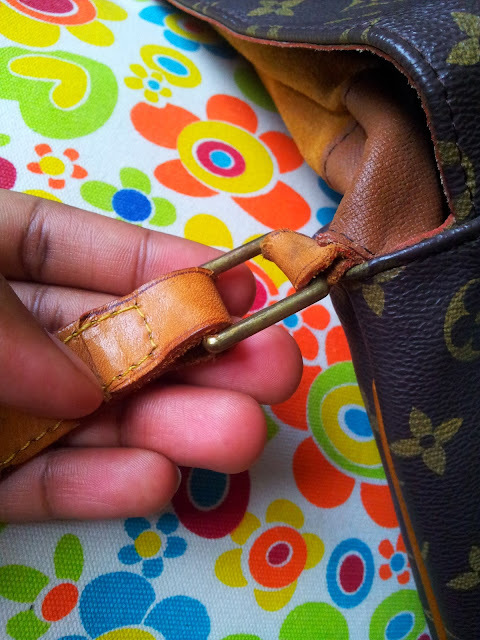 What convinced me initially that it may be a genuine LV is the leather lining inside, it feels so freaking real. The bag doesn't have that nice sheen probably due to poor handling from wherever it came from. Its old 'ruggedness' was another plus for me. So after I purchased it and used it quite a few times I decided to check in the internet on how to tell apart a real from a fake. I didn't want to catch myself rocking a knock off. Surprisingly this bag has all features of a real LV bag except one and that is a date code. 1) The stitches: they look perfect to me and the thread colour is mustard yellow like it should be. 2) The heat stamp: If you observe the O's are rounder and somewhat big than the other letters. The T's have little spacing between them, almost conjoined like the pie sign. And the L has a short base than usual. These were the tell-tale signs I learned from some websites. 3) The logo/monogram alignment: I've seen in websites they explain that in one diagonal the alignment if started out randomly it would be as the LV logo followed by fleur de lis then the circle and fleur de lis again and lastly the LV logo again and will go on in that arrangement. On the inverse diagonal it should be Fleur de lis and its invert in a straight line. 4) Brass hardware: you can tell that the buckles are made of brass and due to oxidising they have aged just like brass is supposed to. 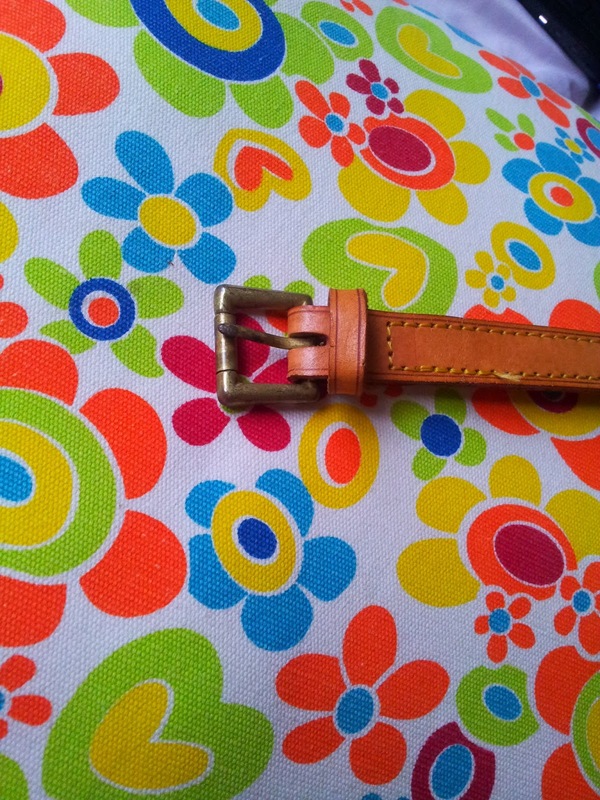 Same with the strap as well, its darkening to a honey brown shade. 5) Leather lining. inside the bag the lining looks old due to use but it looks and feels durable. I'd bet that its not something that would fall apart any time soon. 6) Piping: I used a Louis Vuitton musette salsa crossbody for reference and around the bag you can see a nice leather piping similar to the one on the bag I got. I came to a conclusion that this bag is either an original made before the 1980's and the line has been discontinued hence explains why there is no date code and why I can't exactly find similar models online. Or it is a grade A knock off I've ever laid my eyes upon. I am no expert in bags they're not exactly my thing but this one gave me a lot to think about. I have a personal issue with knocked off goods. If it were a plain leather bag with no LV logo on it I'd be okay with it but if its a knock off.......sigh! What do you think dear reader, did I nail it or have I been knocked off? 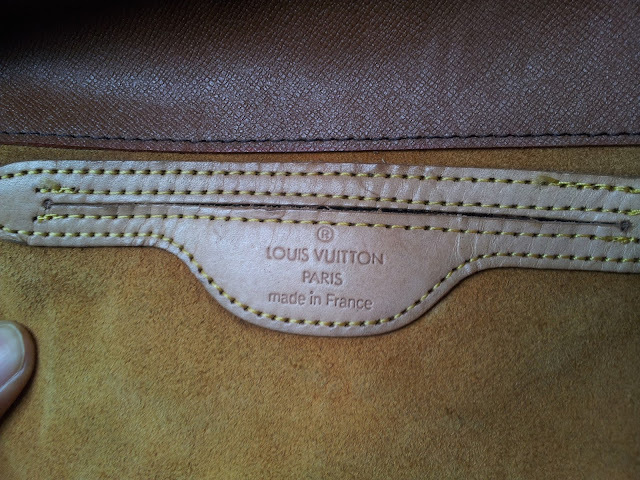 Haha, I think it's genuine n original going by the leather quality and the classic LV logo. If it's from the 80's you better hold onto it for generations to come. Thanks dear for stopping by. I had mixed feelings about it, but now I am contemplating on just hanging it like a thrift trophy. 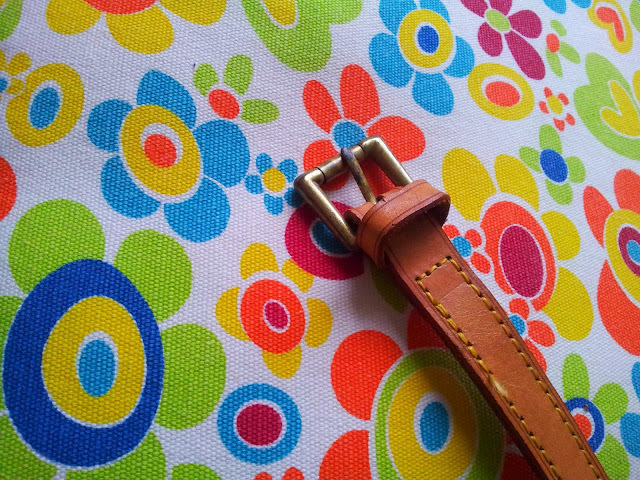 Hello Marianne, you are already on "LOOK 10", if you are interested, please check and do some comment. Pick your prize, "AWARD", if you want. It’s for your blog.